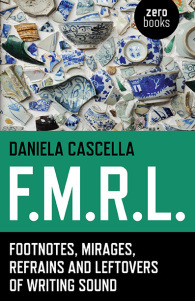 Listen to reFMRL 3: Ora 22, where Salomé Voegelin and I read from and talk about my book, with guest readings by Clodagh Simonds, Patrick Farmer, Aya Kasai, Joanne Lee, Helena Hunter. On this occasion, Salomé Voegelin has responded to F.M.R.L. through a series of questions and by selecting excerpts read in the studio by both herself and Cascella to prompt a conversation. Their voices are joined by those of guest readers, that punctuate the conversation throughout.